A few weeks ago both of the kids were sick and it was a bit rough trying to keep them comfortable and happy at the same time. 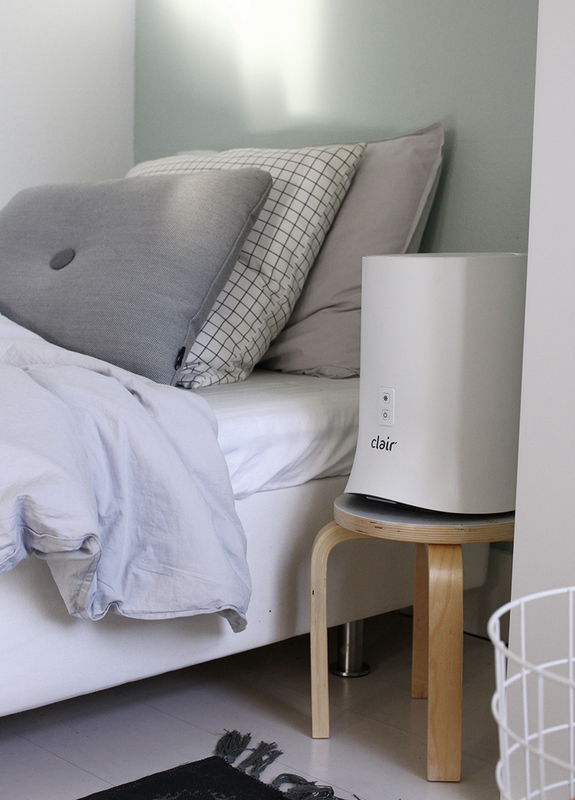 I do my usual things like put humidifiers in their rooms and give them baths with essentials oils but this time I also used an air purifier in Israel's room. He sneezes a lot which always leads to bloody noses in the middle of the night so I do what I can to keep down on dust and allergens so when I had the opportunity to try this one form Go-Clair I didn't hesitate. It's practically silent and I'm glad that's simple and white to blend in rather than be some huge eye sore. What are some of your tried and true remedies when you or your little one gets sick? This post brought to you in cooperation with Go-Clair, all words and opinions are my own.